There’s no question that many of us covet the incredible styles rocked by the ever-stylish Mary-Kate Olsen and Ashley Olsen. Attaining similar style ourselves, however, has always been a challenge given the fact that we aren’t armed with the same form of funding to dedicate solely to fashion a la our favorite muses. Luckily, we have something just as fabulous (and far more affordable)…StyleMint! Surprise, surprise, mes amours! 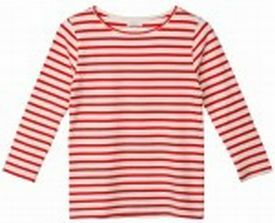 Café Fashionista has teamed up with le fabulous StyleMint to bring one (1) stunning stylista the T of her choice (I’m currently partial to the Broadway in Hibiscus Stripe, as seen on Emily Schuman of Cupcakes and Cashmere). ♥Join StyleMint, and select which T is your favorite. ♥For one (1) entry, leave a comment on this post stating which StyleMint T is your favorite between now and Friday, December 2, 2011 at midnight PST. ♥For two (2) entries, Tweet about this giveaway, and leave a comment on this post stating which StyleMint T is your favorite between now and Friday, December 2, 2011 at midnight PST with your Twitter URL. ♥For three (3) entries, become a follower of Café Fashionista on Blogger/Google Reader/Google Friend Connect, or Twitter @cafefashionista, and leave a comment on this post stating which StyleMint T is your favorite between now and Friday, December 2, 2011 at midnight PST (if you are already a Café Fashionista follower, please say so in your comment). I will randomly pick one (1) name out of a hat (who knows, it could be yours! ), and announce the winner on Saturday, December 3, 2011. Thanks to StyleMint for the pictures. This is so cool! Great giveaway!! This is gonna make someone happy! Sweet! Awesome giveaway! Love this striped Tee! So great! Love this giveaway! what a great little shop! Good Luck all! Olsen twins look so great! I absolutely love their style! I follow you on both GFC and twitter! Looove stylemint!! I think the Broadway is currently my favorite! StyleMint is wonderful and I love MK and Ashley. This is a great giveaway. snazzy giveaway. have a great weekend. This website is kind of addictive...I may be on it all afternoon! ps. my fave was the Fillmore. I love the Lincoln in blue! But also, from the October collection, the Bixel is fabulous, in both black and turquoise. i've been hearing about StyleMint. i'll have to go check it out now! great giveaway. and i actually just like their plain, basic tees. who doesn't need a basic tee? I love it! This is a great idea for a giveaway, and how fun! ahhhhh! i love this!!! my favorite is the broadway! it's adorable!! great giveaway, and i love the pic! I joined! My favorite T would be the Rush. I love the polka dots on it. it's cute and girly. There's much talk that I keep hearing about Stylemint, JewelMint,etc. I need to get into the mint now, Thanks for this post. I am always hearing everyone talk about StyleMint and now I understand why. It's by Mary Kate and Ashley! Thank you for hosting such a fun little giveaway. I am a follower of your blog and a follower on twitter. My favorite shirt is the Broadway T in Hibiscus. It's such a cute little top that is so versatile. I could think of so many ways to pair it! I'm loving that site. The Fillmore is calling my name. great contest I am a follower and I love the Allot Kinney in blue! I love the Rush Tee! It's so cute and perfect for dressing up or down! I'm a member of Stylemint and the Wilshire is really cute! The Hilshire is my favorite and I now follow you on GFC!